All photos by Rory Doyle. 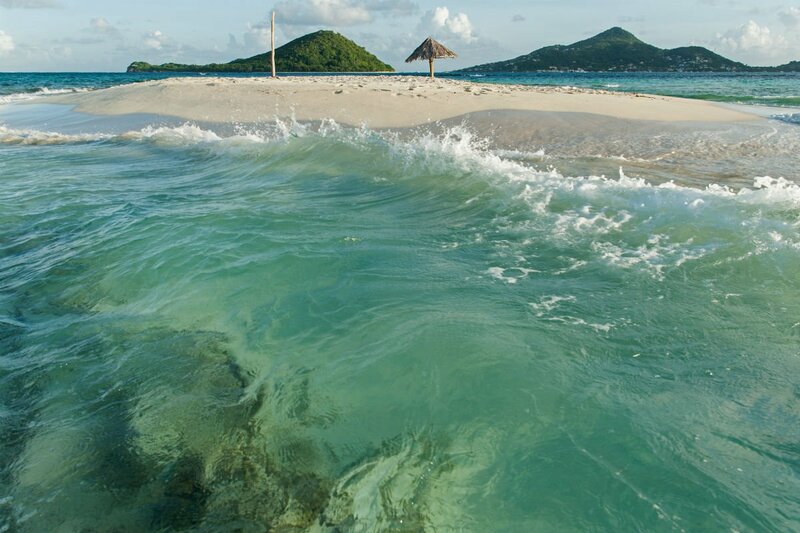 The little-known Petit St. Vincent private island will be celebrating its 50th anniversary in 2018. 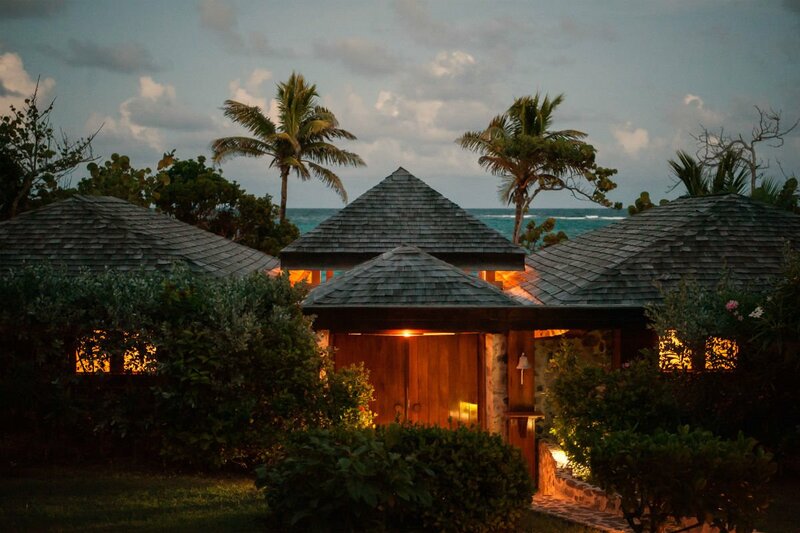 With only one change in ownership (in 2011) and a strictly unplugged-yet-luxury vibe, the small island has been working toward becoming a wholly sustainable operation. 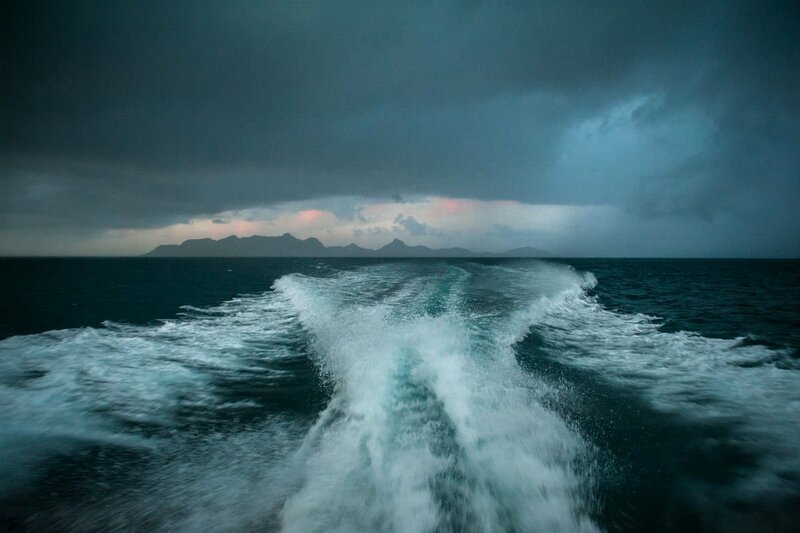 We sent photographer Rory Doyle to the hidden Caribbean gem for a closer look at the best nature has to offer. 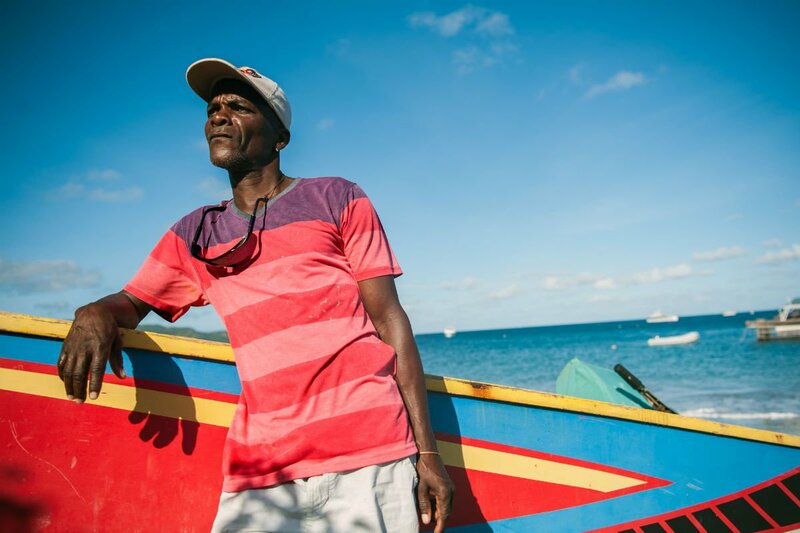 What is Petit St. Vincent all about? 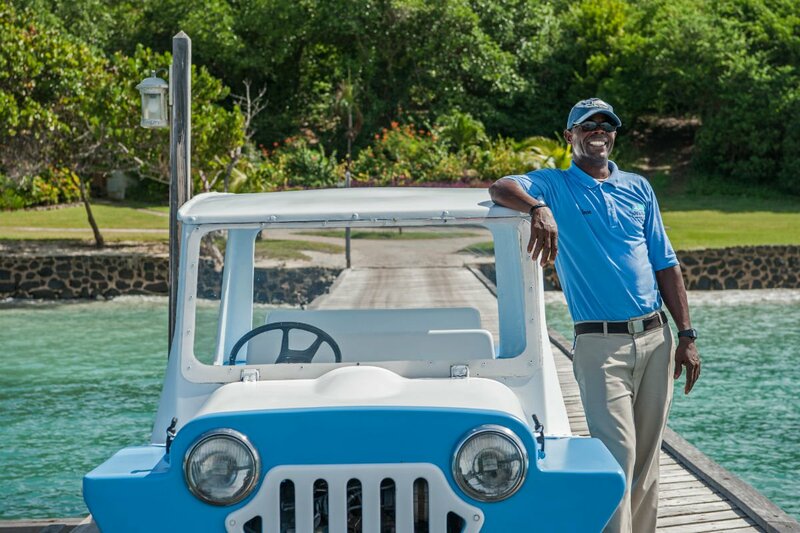 It takes a little extra effort to arrive at because it's a 115-acre private island that operates under the radar. The southernmost sandy isle in Saint Vincent and the Grenadines, the whole thing operates as a and the . 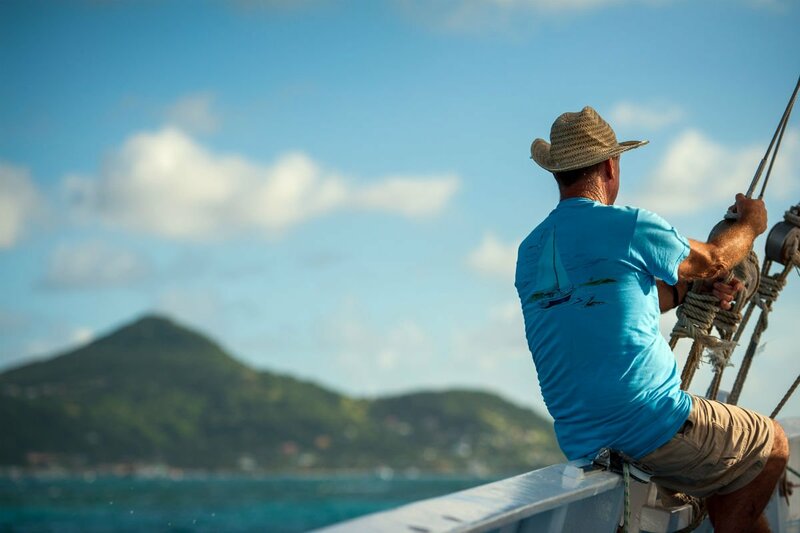 Cousteau concluded that PSV (as everyone calls it) would be the perfect place to teach people about protecting coral reefs because spectacular marine life is all around the island. After reading about the dive center, I made sure to arrive prepped with an underwater camera — the best pre-trip decision I made. I live in the remote Mississippi Delta, so it takes me a little longer than most people to get anywhere. I left my home at 2:30 a.m., drove two hours to the Memphis airport, caught a 6 a.m. flight to Miami, another flight to Barbados, a 50-minute charter flight to Union Island, and a 20-minute boat ride to PSV. The short flight to Union Island was well worth the full day of travel: We flew over the unparalleled turquoise waters of Tobago Cays and arrived at Union as the sun was setting. I took several cool photos as we approached the island through the plane's windshield. 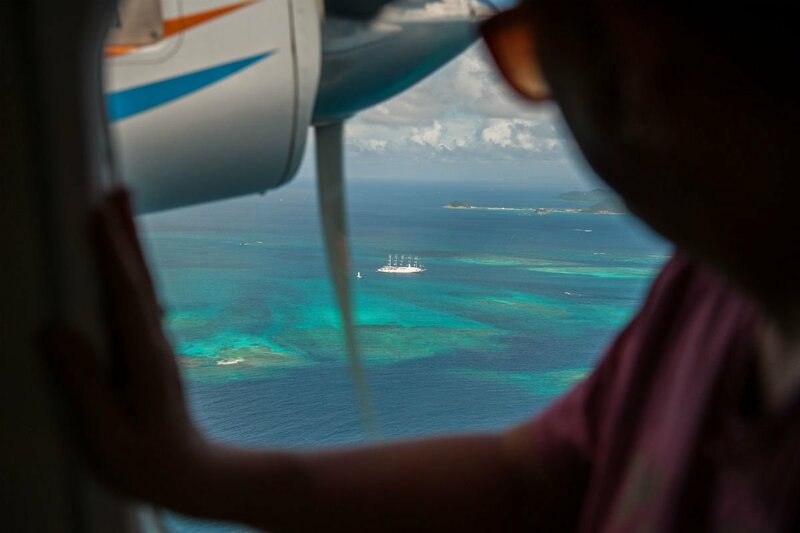 Small planes are not for everyone, but I loved the intimate views of the stunning Caribbean below. Everything about the itinerary, from start to finish, was a blast. I spent four nights in cabin number 6 on the island, which was literally three steps away from a private white sand beach on the Atlantic side of the island. Matthew, the hotel manager, welcomed us with dinner and drinks the night we arrived, and the following schedule was packed with fun. Day 1: One of the smaller things that I really enjoyed was having meals delivered to my cabin. I had a big breakfast the very first morning, with an incredible view of the sea. It was luxurious. 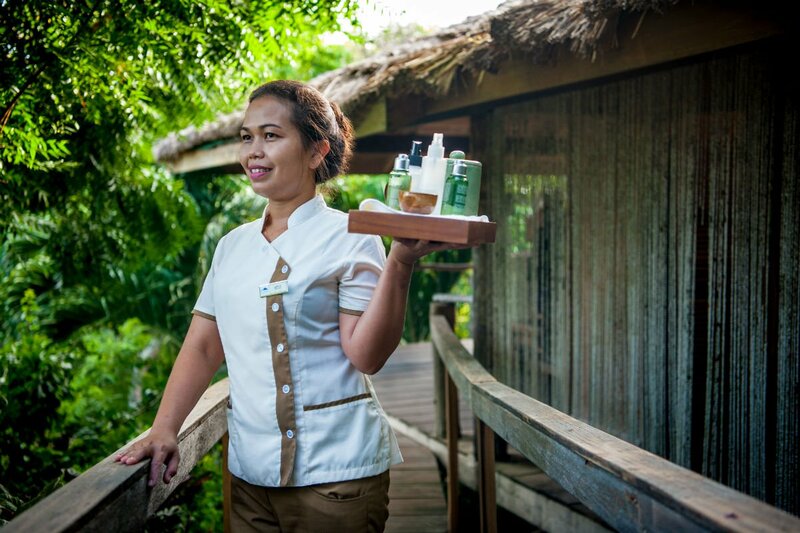 I did a thrilling and unforgettable dive in the nearby reef and ended the day with a Balinese massage at the hillside spa. After traveling and diving, I couldn't have asked for a more relaxing treatment. 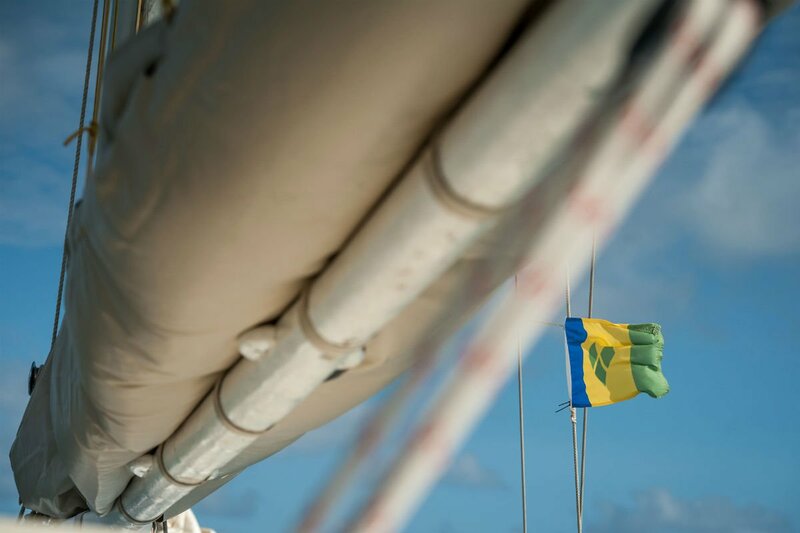 Day 2: A group of us spent a full day of sailing to the Tobago Cays protected marine park. These are hands-down some of the most beautiful waters I've ever seen — the turquoise colors are unmatched, and the vibrant reef is full of colorful coral, schools of fish, and sea turtles. Day 3: I asked the hotel to transport me over to Petite Martinique. This tiny island is just a five-minute boat ride away, but in an entirely different county. I walked around, interacted with locals, and photographed local musicians who performed local string band music for me. The island is not touristy and gave me a real glimpse into local island culture. The day closed with a massive BBQ spread at the beach restaurant at PSV featuring more seafood and steak than anyone could dream of consuming, along with a traditional steel pan band. Day 4: I woke up early to watch the sunrise, ordered breakfast at my cabin, soaked in my last views of the exquisite resort, and still had time for a final snorkel around the island. 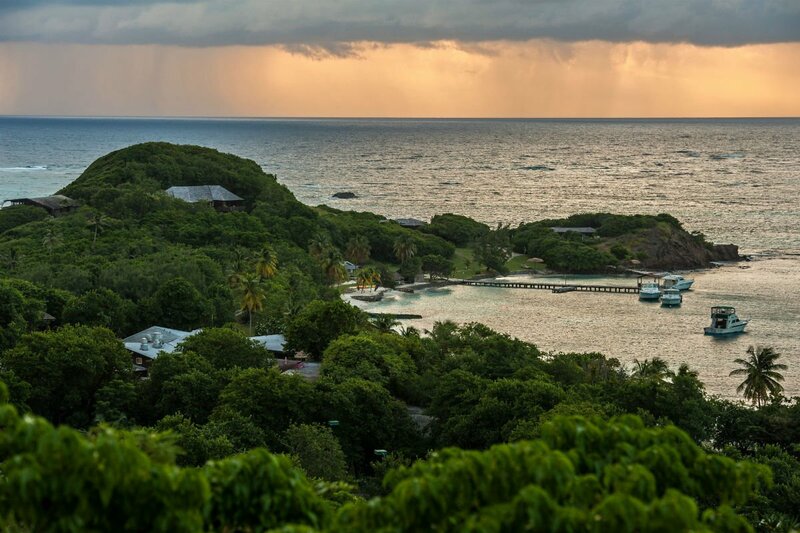 For people who want to experience pure luxury, very few places in the world could rival Petit St. Vincent. Most of the food served in the two restaurants at PSV is caught locally or grown on the island. There is a beautiful and massive garden just below the Main Pavilion restaurant that guests can tour. It was so well kept, and it was nice to see how much of what guests consume come from local efforts. The service was impeccable. I'm not used to being in such luxury, so it was incredibly relaxing to have staff taking care of me. If you need a ride, they will pick you up in their tiny motor cars. If you want a meal delivered, just fill out a form in advance and you can eat to your heart's desire. 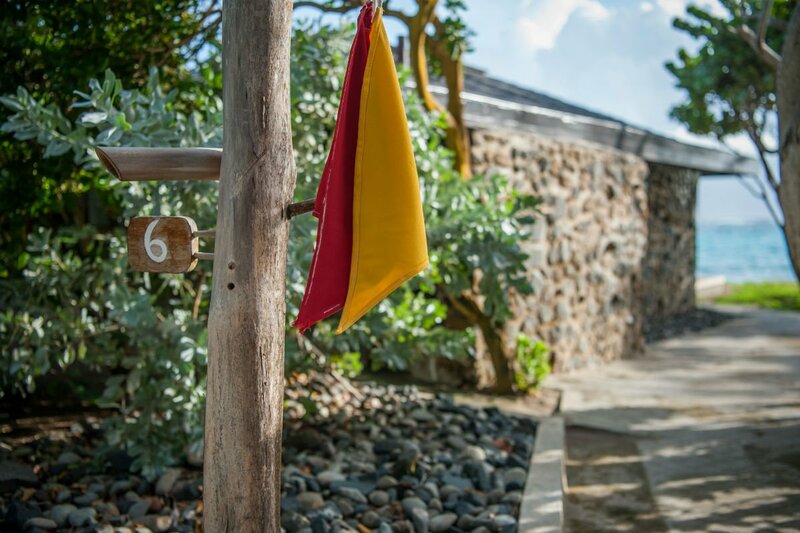 They use a flag system at each cabin to communicate with guests. 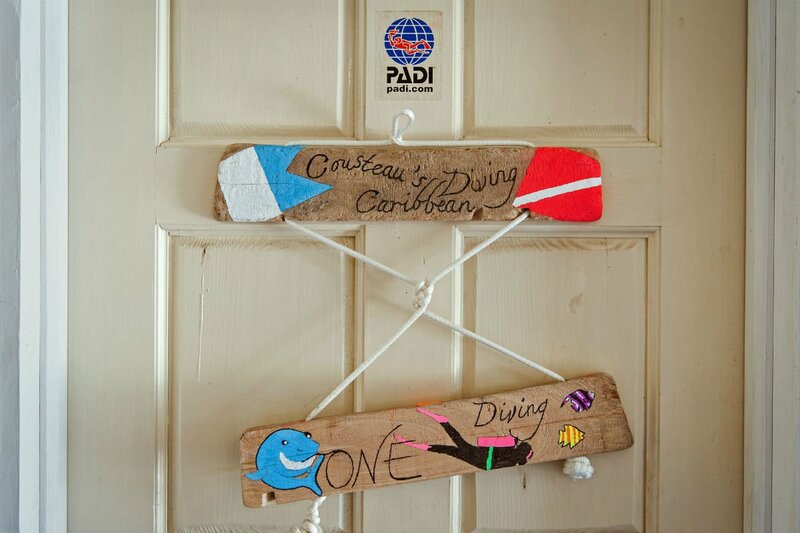 A red flag means "do not disturb;" a yellow flag means "I need something." 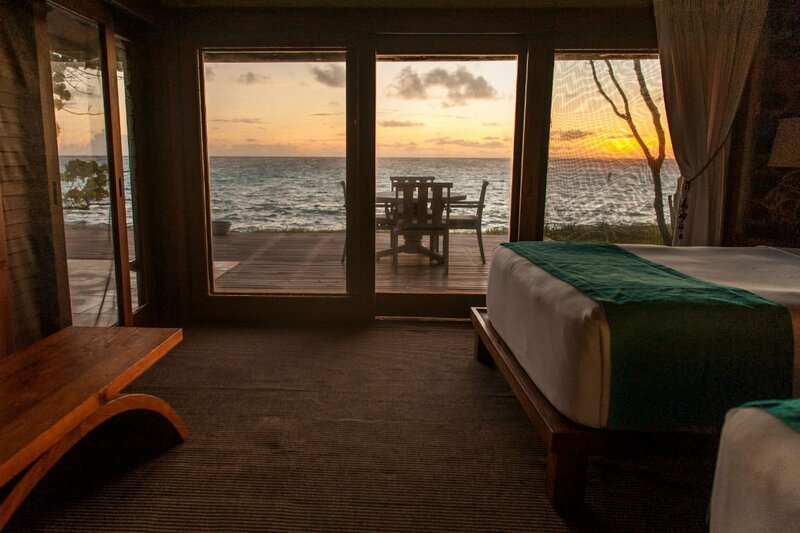 If you just want to kick back and enjoy the cabin's ocean views in peach and quiet, just leave the red flag up all day. As a photographer, I'm online all the time communicating with clients and uploading photos. There's WiFi in just one spot on the island, which is actually a really good "problem." Guests go to PSV to intentionally disconnect. I guess the negative for me was having to check my email once a night. Grrrr — I always said I wouldn't be so dependent on technology! PSV is not a touristy place because it's a private haven unto itself. 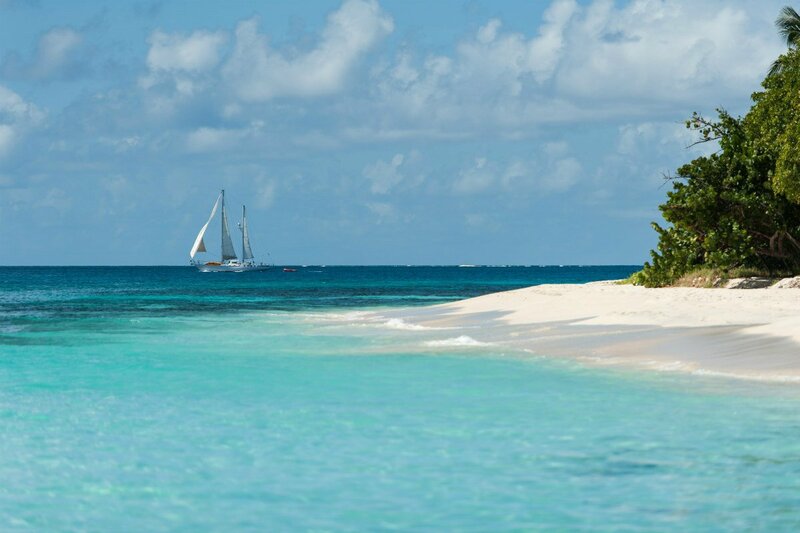 However, we did sail to the nearby Tobago Cays, where many boats stop for snorkeling and diving. Despite the popularity of the cays, I would encourage everyone to sail on PSV's private ship and soak in some of the best snorkeling on this planet. Seafood, of course. I made sure to eat as much local fish and shellfish as I could. I live in the Mississippi Delta, which is kind of a food desert. 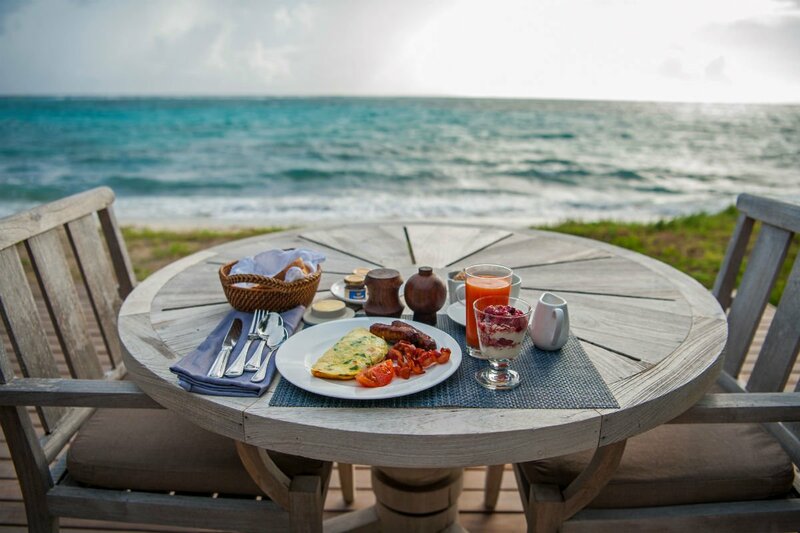 There's nothing better than biting into a fresh lobster tail as you look out to the Caribbean waters. 1. Meal or meals: The beach BBQ meal my final night on the island was the best. Lobster, steak, ribs, and so much more. 2. 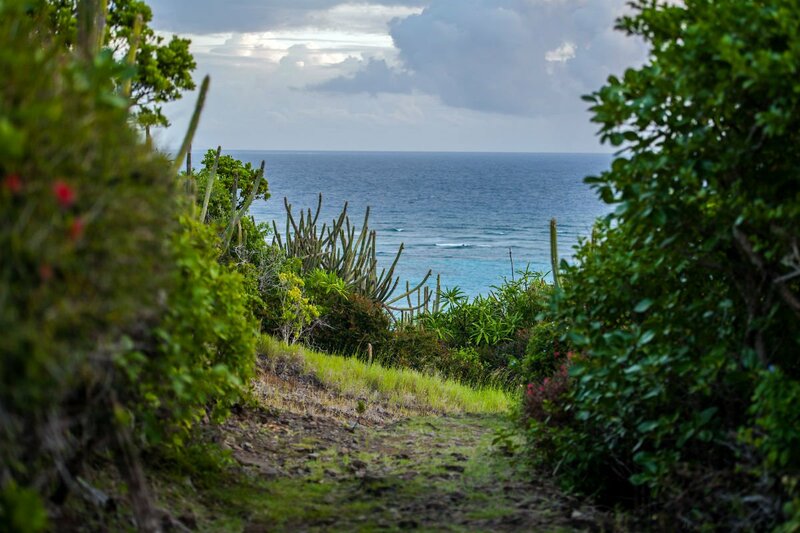 Neighborhood to explore: Everyone who visits PSV should take the short 20-30 minute nature trail to the highest point on the island for a great panoramic perspective of the surrounding area. 3. Thing you did: I love sailing, so a major highlight for me was sailing all day with captain Jeff and his mate Simba. 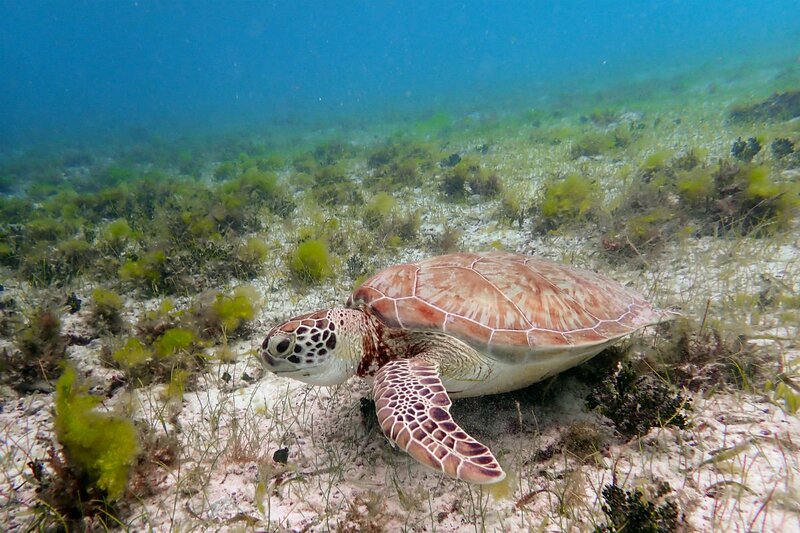 It was an unforgettable ride to the pristine snorkeling in Tobago Cays. 4. Casual hangout: Definitely hang out at the beach restaurant. The views are unmatched, and there's a full menu and an excellent bar. Can't go wrong here. 5. One place you didn't get to visit, but wanted to: I didn't have time for a day trip to St. Vincent, the largest island in the chain of St. Vincent and the Grenadines. I would love to get back there during carnival season and explore the local culture. 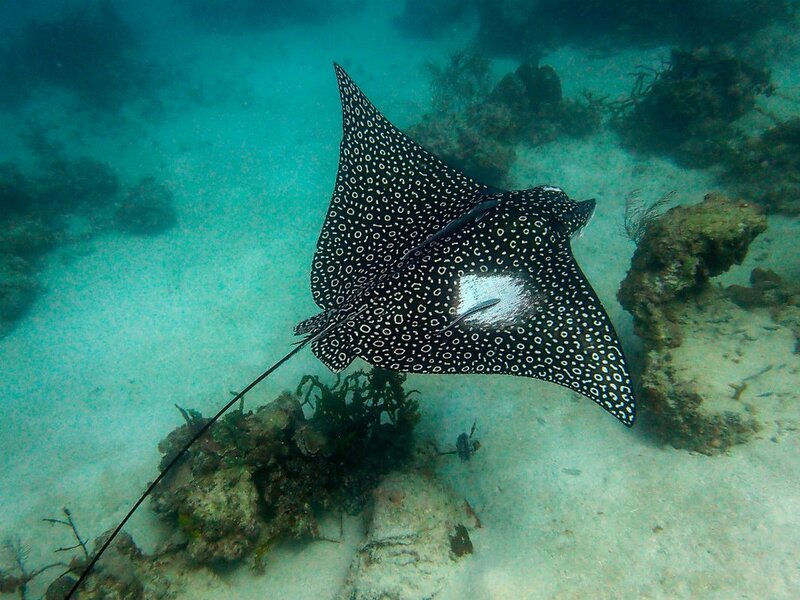 I think anyone would be surprised by a massive spotted eagle ray. It's a majestic animal, and I actually got to swim quite close to it for a few moments. I'll treasure that memory. What can’t you stop thinking about? I did not grow up in a luxurious setting, so this was an eye-opening experience. Everything about the place is set up for guests to kick back and have no worries. 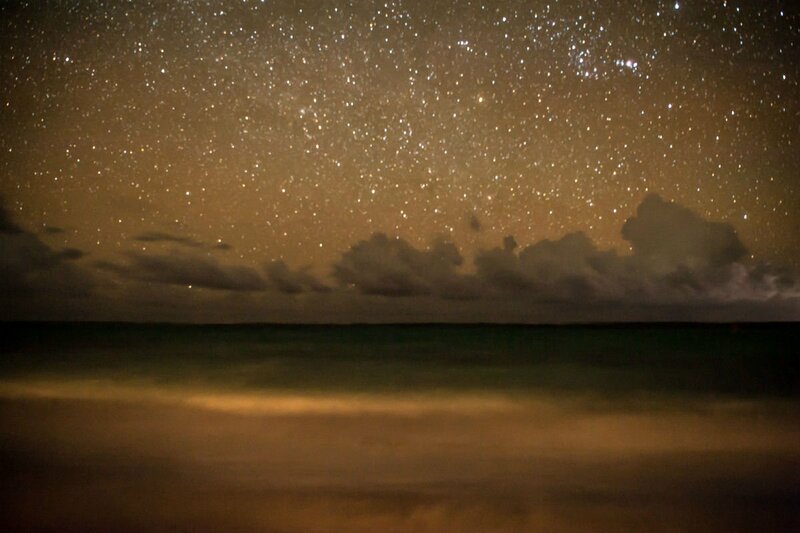 Four four nights, the Caribbean breeze and comforting sound of crashing waves put me to sleep. It would be an understatement to say it was difficult to pack up and leave. Spending sunset by myself on a tiny speck of an island called Mopian. It's a short boat ride from PSV, and it was pure bliss watching the sun go down. Get an underwater camera, something in the $400 price range. Years after you visit, you'll be gawking at images of sea turtles, coral, fish, and — if you're lucky — a giant spotted eagle ray. I can't stop daydreaming about going back. In four quick days, I fell in love with a place that truly made me feel fortunate to be alive. I'm pretty sure my wife would say her presence is mandatory next time around. Petit St. Vincent is pure bliss in the middle of the Caribbean. Rory Doyle is a working photographer based in the rural Mississippi Delta. His photography captures cultures often overlooked or underrepresented. You can follow him on Instagram at @rorydoylephoto.